Southern California jazz pianist Danny Green may be just 27, but his musical training began at the tender age of five. Through high school, college, and private instruction, Green became well-versed in jazz, classical, and Latin music genres. Previously he produced and collaborated with the Caballero Verde Quintet on their 2007 release Past Due. Now he puts his extensive experience to good use in his debut solo CD, With You in Mind, a promising outing that should please jazz fans. Playing mostly original compositions, Green’s classical training shows in his preciseness, yet the joy of jazz and Latin rhythms still surface. “Jellyfish,” one of the best tracks off the CD, is an appealing samba with Green’s confident, authentic Latin piano merging with intricate percussion. Latin grooves continue with cuts like “Doctor Pasta,” “Baiao Pra Voce,” and “Gigi,” with the latter being a perfect showcase for Green’s speed and dexterity. These tracks encompass his thorough study of Latin music, having worked with several world musicians as well as California’s Brazil Camp program. He switches gears with the title track, a moody piece reminiscent of Theolonius Monk’s “Round Midnight.” Green’s gorgeous chords create a lush, romantic atmosphere. Again, his classical and jazz backgrounds blend beautifully, lending to his intricate yet soulful playing. “Lullaby for a Poet” shows a delicate side, with Green’s piano alone carrying the beautiful tune. Nowhere is his classical background more evident than on this track. “Panic Nap” represents yet another sound departure, this time focusing on modern jazz. The beginning cacophony of notes and percussion signal a different tone, with the bass line driving the fast tempo. Green’s keyboard solo suggests fusion a la Miles Davis’s 70s outings. More fusion occurs in “Suite for the Americans” (the only song Green did not compose), an homage to the U.S.’s melting pot of music and culture. Just a hint of the blues can be heard among the exotic rhythms and Green’s precise playing, with fluctuating tempos and motifs thrown in the pleasing mix. With “Take Five,” Dave Brubeck proved that jazz and classical could coexist. 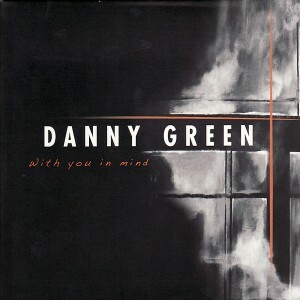 Green continues this combination with With You in Mind, and jazz fans will enjoy his invigorating piano work. This CD marks the beginning of an ambitious artist and is definitely worth a listen.